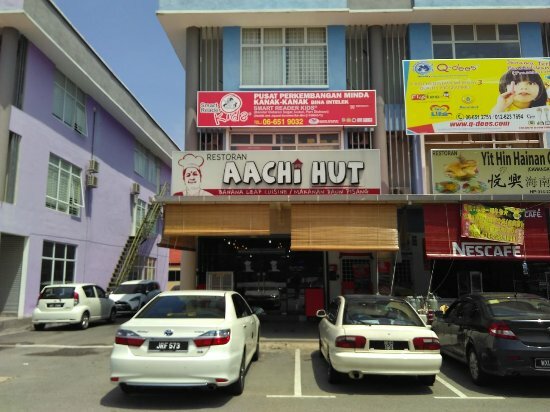 There aren't enough food, service, value or atmosphere ratings for Aachi Hut, Malaysia yet. Be one of the first to write a review! Delicious South Indian cuisines. Loved the mutton peratal. Must try for mutton lovers. A tad bit pricey but worth it. Comfortable ambience & clean. 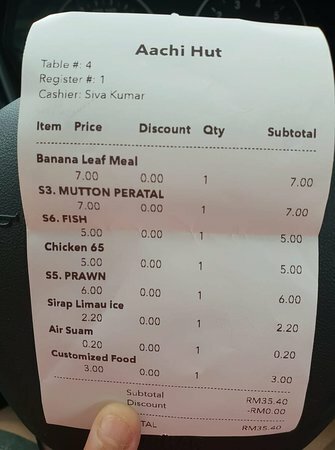 Great value, banana leaf, traditional and delicious! Stopped by after a very disappointing breakfast at a stall near the Blue Lagoon Beach. Had some tea and vadai soaked in Dhall curry. Food and tea was ok. Service was ok as during afternoon not many workers around. 2 visit and the food is as good as the first one. 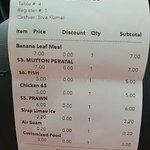 Banana leaf meal, claypot briyani and fried items available too. 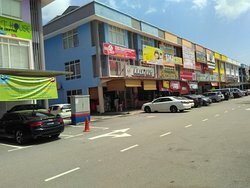 Its a good, budget friendly and clean restaurant. Highly recomanded. Get quick answers from Aachi Hut staff and past visitors.